At the recent World Youth Day in Panama, Pope Francis recounted Saint Oscar Romero who said he didn’t look at Christianity as a set of rules and prohibitions as young people often mistakenly view today’s Church. Photo: Josh Low. We often hear parents telling their children to study hard at school, do well, get a good job and work hard. These are certainly noble principles but how often do we hear parents telling their children to, above all else, look for God? Is that not the most important thing? Teaching our young people to “look for God” in this day and age is no easy feat. There are an innumerable amount of demands, distractions, lots of noise and lots of peer pressure, it’s not even an easy task in a religious school. It also may not come with the instantaneous gratification that apparently comes from watching YouTube videos or playing the Xbox. \However, the Church has an extremely rich canon and tapestry of saints to provide our young people with meaningful learning experiences, which can be an enjoyable experience as well. At the recent World Youth Day in Panama, Pope Francis recounted the life of Saint Oscar Romero, who said he didn’t look at Christianity as a set of rules and prohibitions, as young people often mistakenly view today’s Church. Instead Romero said Christianity was an experience of immense love. Something many of our youth won’t find in gaining many ‘likes’ on social media. 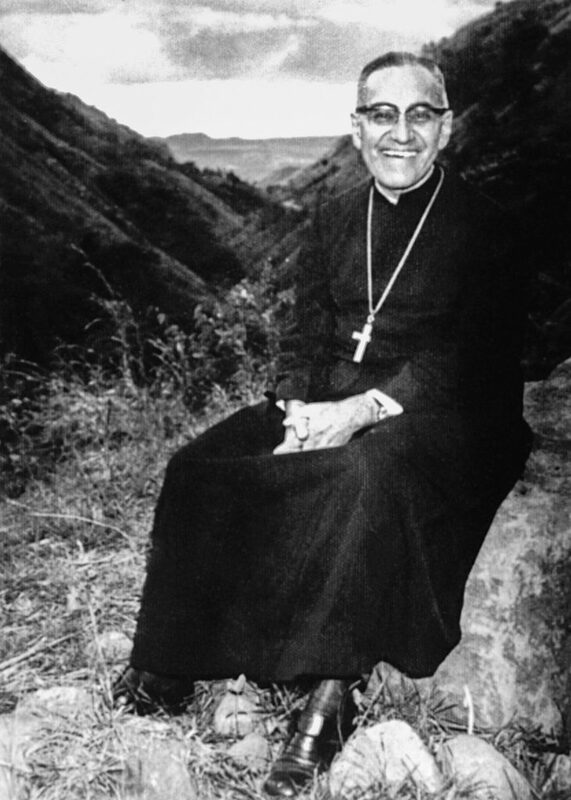 Saints such as Romero are a spring of inspiration. And there are many. If you were to study one saint per day, it’d take you well over 27 years to get through them all. There’s enough inspirational and faith-based learning there to keep anyone busy and there’s a wide variety to suit anyone’s tastes. Saint Catherine of Siena preferred to live in a cell under her house because it was uncomfortable, found God in the uneasiness. Photo: Sourced. Some may like to learn about the likes of Saint Dominic who disobeyed his aristocratic mother and ran away in the night to join a poor friary. Or of Saint Catherine of Siena who told her mother she’d prefer to live under the house as it was more uncomfortable there. The more mature teens might like the political intrigues of Saint Thomas More (who does tend to swear a little). Adult youths at heart could take stock in reading the lives of Saint Mary of Egypt, Saint Olga of Kiev or Saint Thomas Beckett (who all make Saint Augustine’s tawdry background look pretty tame). t the end of the day, it is important to teach our young people that the saints weren’t perfect, they too were sinners, they too had troubles and most importantly. They knew all of this but in the light of the love of God. World Youth Day, along with the Australian Catholic Youth Festival, are a couple of ways our young people here in Australia can learn about the diversity of the Church while discovering a deep well of spirituality and meaning. It is important to teach our young people about these things so that they are equipped with whatever may come their way. At the recent World Youth Day, Pope Francis recounted Saint Oscar Romero who said he didn’t look at Christianity as a set of rules and prohibitions as young people often mistakenly view today’s Church. Photo: CNS. But a willingness to learn comes from a spirit of humility that accepts someone knows more than they do, and this is not always easy to concede. 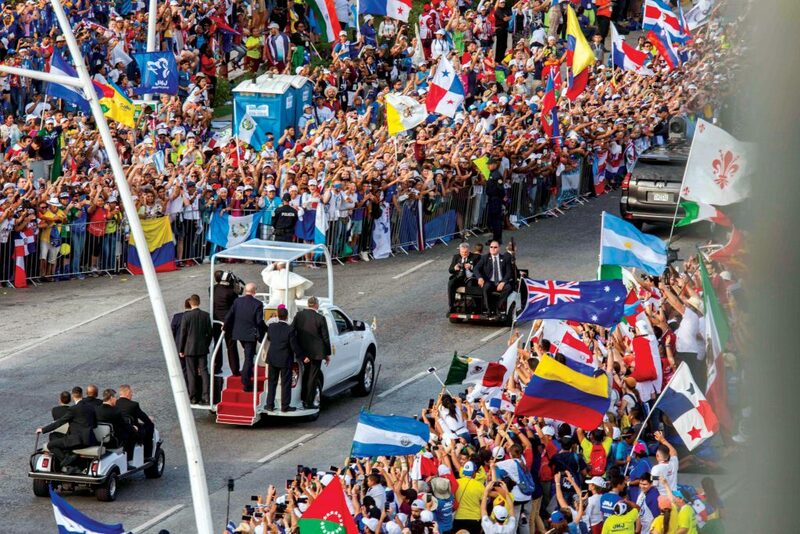 At the recent WYD, Pope Francis said, “it is ok to fail; as long as we remember to get up”. It is through the Church that we can learn to do this; as if preparing for a battle or a competition, one needs to train and that often requires failing in order to learn. As CS Lewis remarked, “experience is the most brutal of all learning experiences; but God, you do learn”. These experiences also help foster the gift of wisdom which is often mistaken for intelligence. For example, a cursory glance across any newspaper shows intelligent people regularly make unwise choices. … a willingness to learn comes from a spirit of humility that accepts someone knows more than they do, and this is not always easy to concede. The Book of Wisdom in scripture speaks of wisdom as fleeting, evasive and quite contrary to what would normally be considered human intelligence or reason. But, yet again this is often seen in the lives of the many saints whose lives and outlooks often seemed contrary to what one might consider rational. Yet they lived deeply happy lives (even in some very unhappy circumstances). 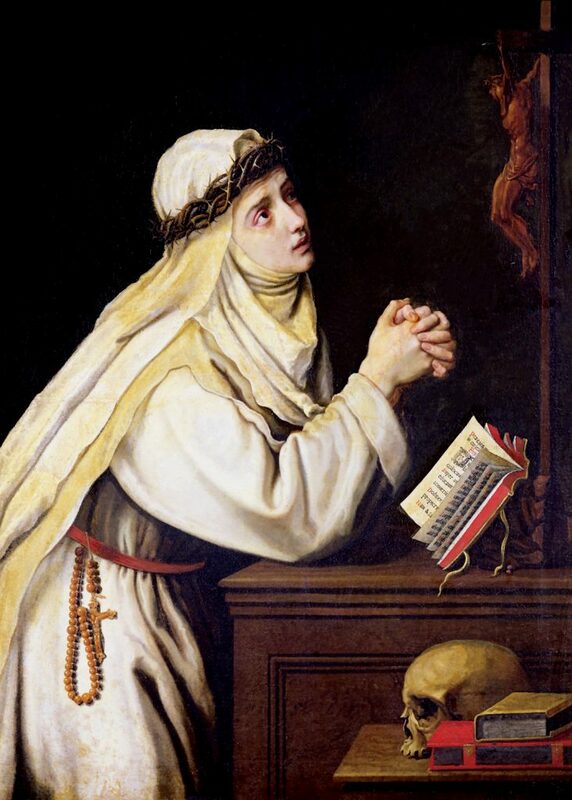 Saint Catherine of Siena who preferred to live in a cell under her house because it was uncomfortable, found God in the uneasiness. She viewed the bitter as sweet and the sweet as bitter. She married Christ and was even rumoured to have had an invisible ring. This hardly sounds rational. Yet she would later be given the title Doctor of the Church for her remarkable works and wisdom, one of the highest accolades that could be bestowed on any person in the Church. That’s quite an achievement for a person without any formal education and highlights that it is entirely possible to receive the gift of wisdom through regular prayer, meditation and devotion to God.